So, two of the Lancome Matte Shaker Liquid Lipsticks arrived on my desk last week. I am already in love with them! 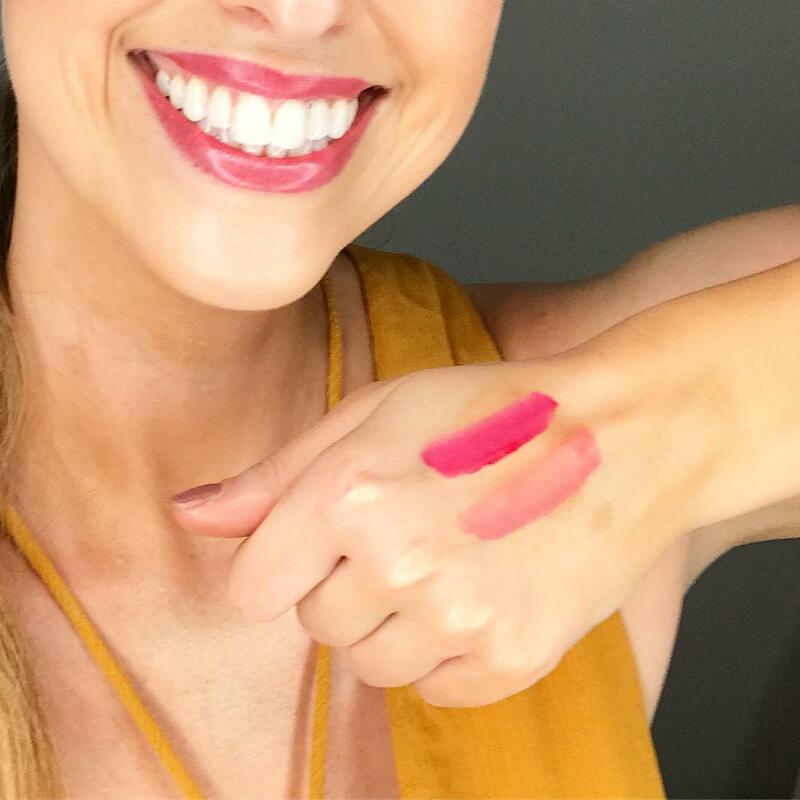 Finally, a matte liquid lipstick that feels comfortable without drying out my lips! And the colours are beautiful for summer. The Lancome Matte Shaker lipsticks are a water-in-oil emulsion. Basically, that means they feel super thin and weightless so feel like you aren’t even wearing anything on your lips at all. They deliver intense colour payoff as well as moisturising the lips with vitamin e. I love matte lips and the matte shakers fix the problem other brands leave you with (dry crispy lips). They make your lips look great! As you can see from the picture above the applicator is a tiny pointed sponge. This cushion applicator allows for maximum absorption of the formula so you don’t have to keep dipping it back in. It gives a soft buildable application, 1 swipe for a natural look, 2 for a more dramatic one. 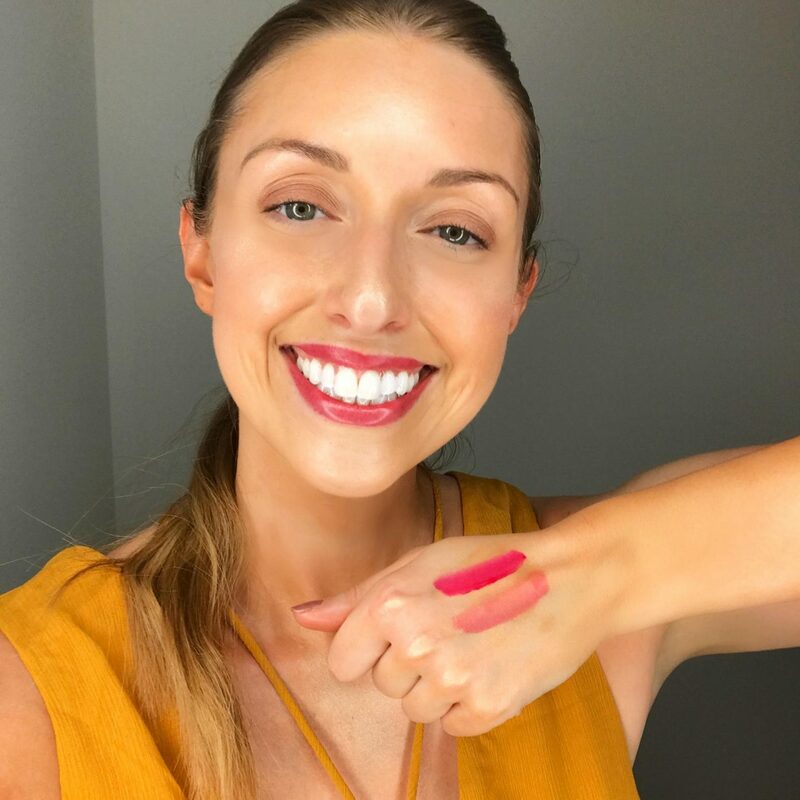 Just shake to soak the applicator with formula, apply the cushion directly onto lips to build the saturated color… then wait for it to dry down to a matte. And that’s it! Gorgeous colours, they smell fab and they last for ages. I love everything about the Lancome Matte Shaker Liquid Lipsticks. The packaging is small and cute but has plenty of product it’s just very pigmented. You only need to apply a tiny bit and the application is so smooth and easy. The colours are vibrant and each one is scented in relation to its name and none of the scents are plasticky or fake smelling. The texture is lovely and doesn’t feel like you have anything on your lips at all. There’s no dry crusty feeling on your lips or any stickiness. Honestly, this was a super easy review to write as I love everything about them! 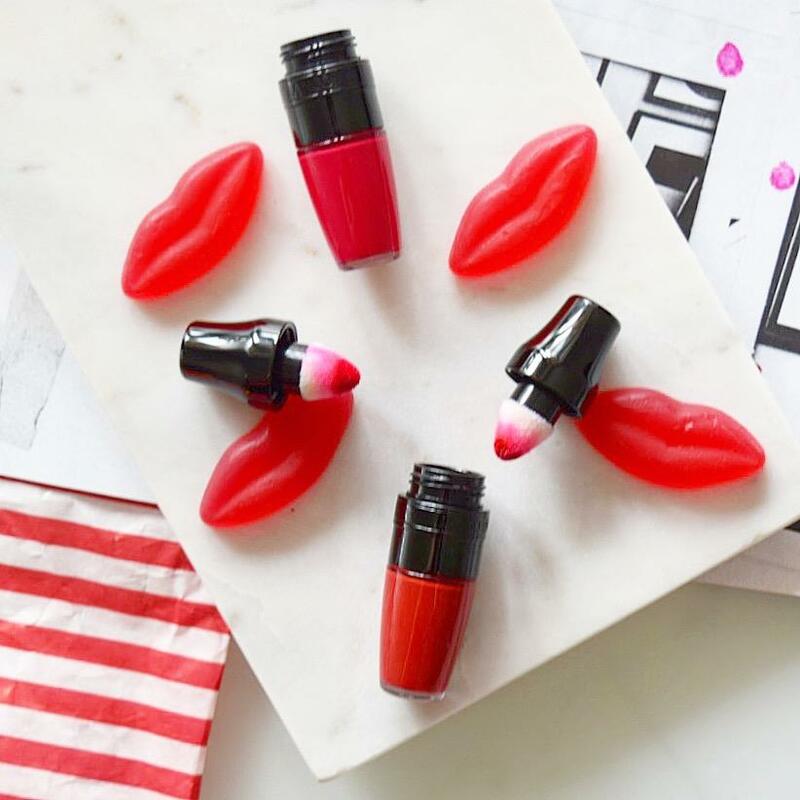 Have you tried these or the Lancome Juicy Shakers?